The Agricultural, Forest, and Open Space Act of 1976 (Greenbelt Law) is a law that allows for a property tax break for certain land uses. 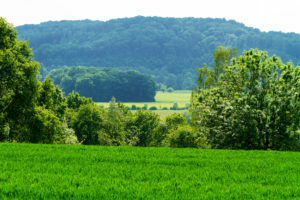 Under this Act, properties classified as farmland, forestland, or open space land can receive a tax break by being taxed based on the present use value of the property rather than the market value. If you qualify for forestland greenbelt, or have questions about forest greenbelt contact us at 731-968-2953. Determining a timber tax basis is dependent on how the property was acquired, meaning whether it was purchased, inherited, or gifted. It is extremely important to establish a tax basis in order to prevent paying undue taxes. The following is not a complete guide to determining a tax basis, it is simply an introduction. An accountant should always be consulted when establishing one’s tax exposure on a timber sale. Determining a tax basis for purchased timberland is fairly simple; subtract a realistic bare dirt value from the purchase price, including all acquisition costs (i.e. legal fees, title opinion, consulting forester fees, etc.) and apply the rest to the timber basis. This becomes a little more complex when other assets (i.e. house, barn, etc.) are involved. It is always a good idea to obtain an appraisal to establish the fair market value of the timber when purchasing timberland. Establishing a tax basis for inherited property is similar to purchased property. Typically, if property is inherited, the basis would be the fair market value of the timber on the date of death. An appraisal should be obtained to establish the fair market value of the timber when the property is acquired. Gifted property is where many landowners run into problems with capital gains taxes. When property is gifted, the donor’s basis is also transferred; therefore, the donor’s basis becomes the recipient’s basis. If the property has been in the family for many years, the donor has likely sold timber in the past and possibly does not have a basis, or it is marginal resulting in high tax exposure. Establishing a timber tax basis should be done when the property is acquired. It is recommended to list the value of bare land and the value of the timber separately in the contract. The value allocated to the timber will be the timber tax basis. However, if this is not done at the time of acquisition, Tennessee Timber Consultants can appraise the standing timber and establish a timber tax basis by essentially growing a forest backwards at an average annual growth rate depending on site conditions specific to the tract. If you have questions about your tax basis, give us a call at 731-968-2953.